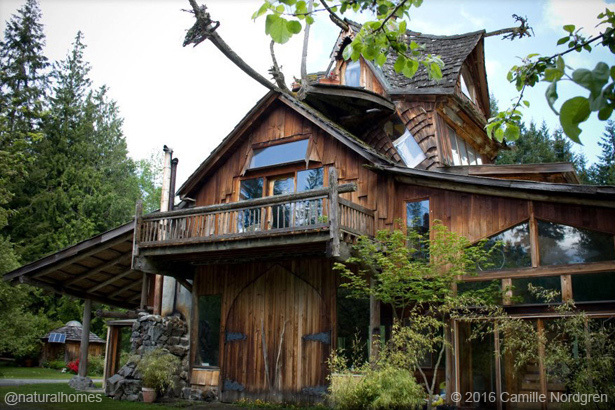 This is Sky House, just one of the many natural homes SunRay Kelley has built at his 9 acre homestead in the foothills of the Cascade Range, north of Seattle, USA. SunRay has created a magical place where he practices what he calls evolutionary architecture where you make plans, but if a better idea comes along you change your plans. 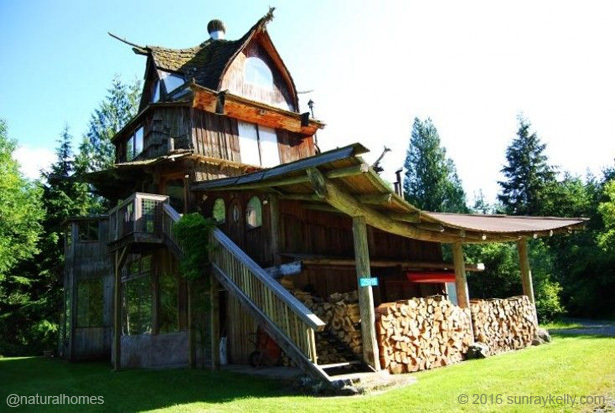 The natural buildings on SunRay's homestead have names like 'Earth House' and 'the Yogurt', a cross between a yoga studio and a yurt. You can take a tour of the homestead with SunRay. 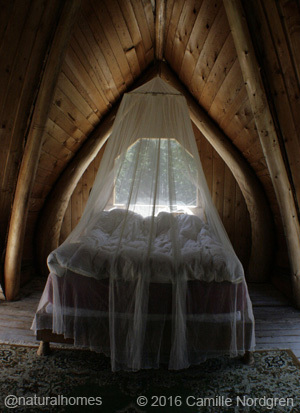 Below left is the beautiful bedroom in the tower.